'You Can't Just Be The Voice Of Generic Sarcasm': The Art Of Movie Riffing Bill Corbett has been making fun of bad movies for a very long time. He says to make it work, you have to look for opportunities not to just ridicule everything — ridiculous though it may be. Manos: The Hands Of Fate is the subject of a live Rifftrax performance being beamed to more than 500 movie theaters tonight. "A couple of years ago, we did something that we called a 'Rifftrax challenge,'" says Bill Corbett, who serves as a professional bad-movie-mocker at Rifftrax.com. "We took a movie that we all acknowledge is a great movie, Casablanca, and riffed it. In that case it becomes more like a celebrity roast — we all acknowledge it's great, but we kid around with it knowing that we can't do it any harm. It'll outlive us." There is no one-size-fits-all process for recording sardonic commentaries, and the Rifftrax's resulting Casablanca track — available as an MP3 from Rifftrax, and synchable with a DVD — takes a different tone than their commentary for, say, Twilight. "With Casablanca, we found that you just can't make fun of that movie too much and sort of assert that it's incompetent, because it's obviously not, so you wind up sort of imposing stuff on it, and scoring jokes off moments that seem a little awkward." Sample jokes: "Sam — the original one-hit wonder"; "A French guy who fights back — we found him! "; "How come when Bogie drinks during the day, people think he's sophisticated, but when I do it, all I hear is, 'Get off our little league field!'" Corbett knows the subtle nuances of bad movie mockery well. For three seasons, he was a writer and performer on the seminal puppets-making-fun-of-bad-movies cable series Mystery Science Theater 3000. In a conceit that launched a thousand internet comedians, MST3K centered on a human and his two robot companions who were forced to watch bad movies (their silhouettes were seen at the bottom-right of the frame, against the backdrop of such pearls as Bride of the Monster, Santa Claus Conquers the Martians, and Space Mutiny). To keep their sanity, they provided commentary — sometimes literary, sometimes very silly. In this clip, the guys of Mystery Science Theater take apart the credits of the very bad film, Cave Dwellers. Currently, Corbett and MST3K alumni Mike Nelson and Kevin Murphy keep the flame alive — sans puppets and silhouettes — with Rifftrax, which creates MP3 commentaries of Hollywood product (The Phantom Menace, Thor, Paranormal Activity, etc.). In recent years, the site has evolved to incorporate video-on-demand downloads (Frankenstein Island, The Bloody Pit of Horror, Plan 9 from Outer Space) and an annual live broadcast, beamed into 500 theaters nationwide. For this year's August 16 broadcast (that's tonight! ), Nelson, Murphy, and Corbett will return to MST3K's most notorious discovery: Manos: The Hands of Fate (1966), a creepy, no-budget oddity about a tribe of Satanists in the El Paso wilderness. 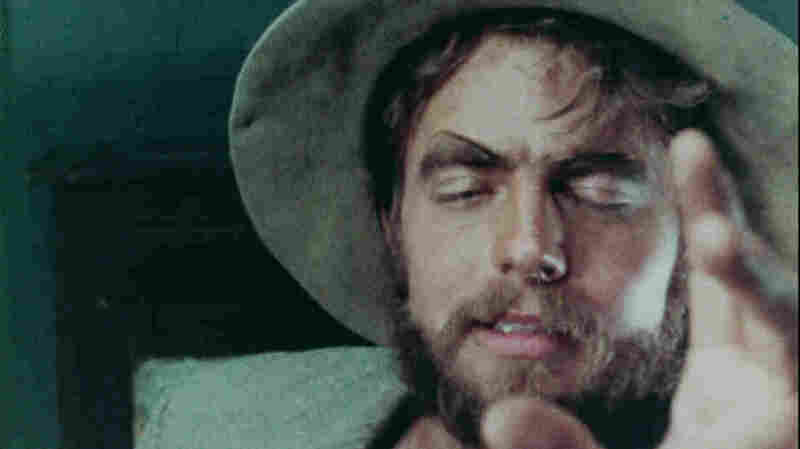 Made by Texas fertilizer salesman Harold P. Warren, Manos has become bad-movie legend. Among the lore: Warren used wind-up camera that could shoot only 32 seconds at a time; the film was shot silent, with the entire cast dubbed by three people; opening credits were to be superimposed over the endless opening montage of El Paso scenery, but Warren forgot. With its total disregard for basic film grammar, Manos is something downright otherworldly. Manos may be one of the worst movies ever made, but a full-on beatdown of Warren's sad little film would be like kicking a wounded puppy. "I think more of our humor winds up being, for Manos, winds up being about pure bafflement at the whole affair," Corbett says. "Like, 'How did this happen? Why was this choice made? Can you believe that they're actually cutting from this scene to this scene again?' Like, there's a bunch of times where they just ran out of film in the camera, or they didn't have a good enough camera, so two people are standing there, and then there's a cut, and it's to them standing there again, presumably in real time." Certainly Warren's quixotic attempt at cinema is more endearingly pathetic than a big-budget target like Transformers, and emits a different brand of desperation than Plan 9 from Outer Space, or Laser Mission, or Neutron the Atomic Superman vs. the Death Robots, or any other Rifftrax subject. "I think it does get really tiresome to just hear three guys be jerks about something," Corbett says. "You can't just be a voice of generic sarcasm, you have to be funny and clever and occasionally a little more generous, and shift your point of view here and there so you're not always making fun of the movie so much. So we try to keep light on our feet about that stuff, and hopefully the sum total of it is, y'know, not just too mean-spirited and sour. Although, there are moments when I listen to our stuff in retrospect and I just go, 'Ugh, we were just in that gear too long — I don't like those guys right now.'" Perhaps one of those moments was in MST3K's tenth season, when the crew tackled Final Justice, starring portly character actor Joe Don Baker. After the show's first encounter with Baker — Mitchell, in season five — the star reportedly told press he would "kick their asses," and for Final Justice, the MST3K silhouettes tore into his physique with gleeful brutality: "He's got double chins on his eyelids" ... "Meatloaf: Texas Ranger" ... "A float got loose! Oh, no, it's Joe Don Baker, sorry" ... "It's dangerous for Joe Don to be in the water — someone's bound to harpoon him." At one point, when Baker chugs a tall glass of milk, a member of the MST3K peanut gallery speculates, "His arteries are just looking at each other, shaking their heads." But central to MST3K (and now Rifftrax) is the tightrope it walks between critical astuteness and mean-spiritedness — between having-fun and making-fun (harsh as they were to the poor man, Mr. Baker sure made himself a tempting target by posing an action star). That Rifftrax's motto has changed from "We don't make movies — we make fun of them" to the less nihilistic "We don't make movies — we make them funny" acknowledges the challenge. The secret to MST3K and Rifftrax at their best is a certain backhanded affection for the bad movies under assault. More than the snarkfest it was sometimes accused of being, MST3K was best understood as a harder-edged '90s equivalent of TV horror-hosts like Svenghouli or Vampira. Corbett says, "The Hollywood movies like Twilight or Transformers, we tend to be a little harder on the 'Hollywood' aspect — 'you had all these resources and this is what you did with it?' Whereas, I know it's a little pretentious, but there's a little more of a curation aspect to some of these old, weird movies. Like, 'Can you believe this exists?'"